Whether you have curly hair or are friends with someone who does, you probably know how tricky it can be. Curls have a mind of their own and even the best curly days can go awry. In order to look their best, curls need consistency and routine. Understanding how to use tools such as your hair dryer's diffuser can make your routine that much easier. According to stylist Britt White, a diffuser is an attachment you can use on your blowdryer that helps minimize frizz. 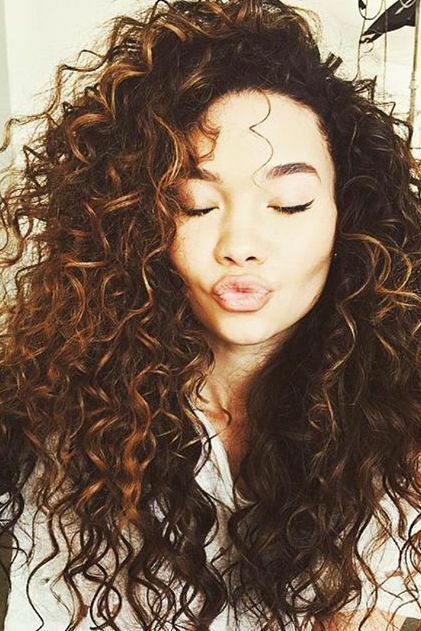 When your curls dry naturally, they are more prone to frizz. The diffuser also helps boost volume in curls that are flat. A diffuser helps to set curl patterns gently without harsh chemicals or overheating it with other styling tools. A diffuser is designed to gently cup your curls and surround them with soft air for an even, consistent drying. This helps maintain your curl pattern by disrupting your curls as minimally as possible. Drying your curls like this helps greatly minimize the opportunity for a “frizz breakout”. When using a hair dryer and diffuser, avoid ones that have ionic drying power. Ions depress volume to create a smooth look, which is not what you want for your curls. Wash and conditioner your curls. Use a microfiber towel or t-shirt to gently scrunch excess water out of your curls. Apply your favorite styling product. In this instance, a mousse or curl defining cream is a great option. Using your finger tips, rake the product through your curls and then shake them out to allow your pattern to form. For face framing curls, take a few strands and twist them before beginning to diffuse. Once you've twisted, you can begin diffusing. Flip your head over and cup a section of curls with your diffuser. Using low heat, work on each section until it's completely dry. Then move on to the next section, begin careful not to overly touch your curls until they're dry. Move angles around to help maximize volume and create curl definition. Once your strands are totally dry, flip your hair back over. Voila! Enjoy beautiful, even, well defined curls.